It falls upon NEP to create and maintain structures of collection, processing, update and provision of information in order to allow AEPQ and, therefore, IST, to achieve its objectives. The information shall be based, whenever possible, on the data of the Fénix information system. It should be presented as a result of a statistical processing, and nominal data are not provided. It should be dealt with on the basis of the most recent information technologies in this area and be disclosed when its content so justifies. In addition, the NEP actively participates in the pursuit of the AEPQ objectives and mission, namely in the areas of engineering, science and technology. 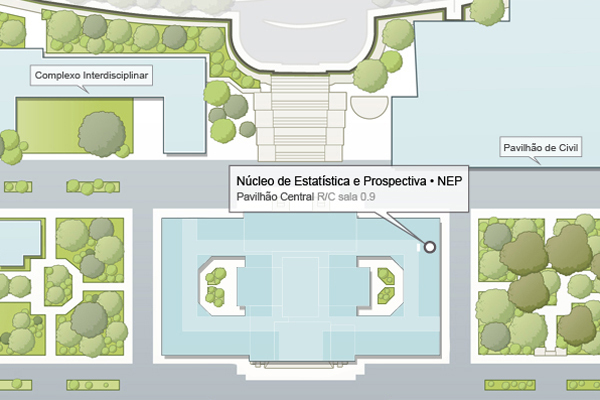 NEP’s ambition is to become a reference in the construction and production of indicators and statistics, which allow for supporting the institution’s decicion-making and planning process, by anticipating, whenever possible, the challenges that are faced. NEP’s core values are Rigour, Experimentation and Method, considering that such dogmas are the drivers of the spirit of our team and that, as these are intemporal values, they will always be developed and improved, which this service will always aim at.